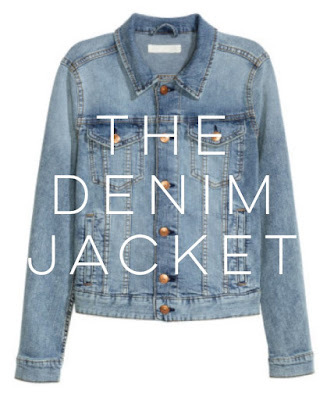 A denim jacket is a stable piece every woman should have in their closet. I've had quite a few over the years and I'm actually on the lookout for another so I can prepare a little DIY project for you guys! The best thing about a denim jacket is its versatility. You can rock it in the day for a casual look, you can throw it around your waist to cinch in a loose fitting dress, or you can where it with a more formal look to bring it down a notch. I put together the following looks to give you some inspiration but really the possibilities are endless! This would be a great look for sightseeing if you're planning a trip or for just running errands around town. It's so easy to put together! 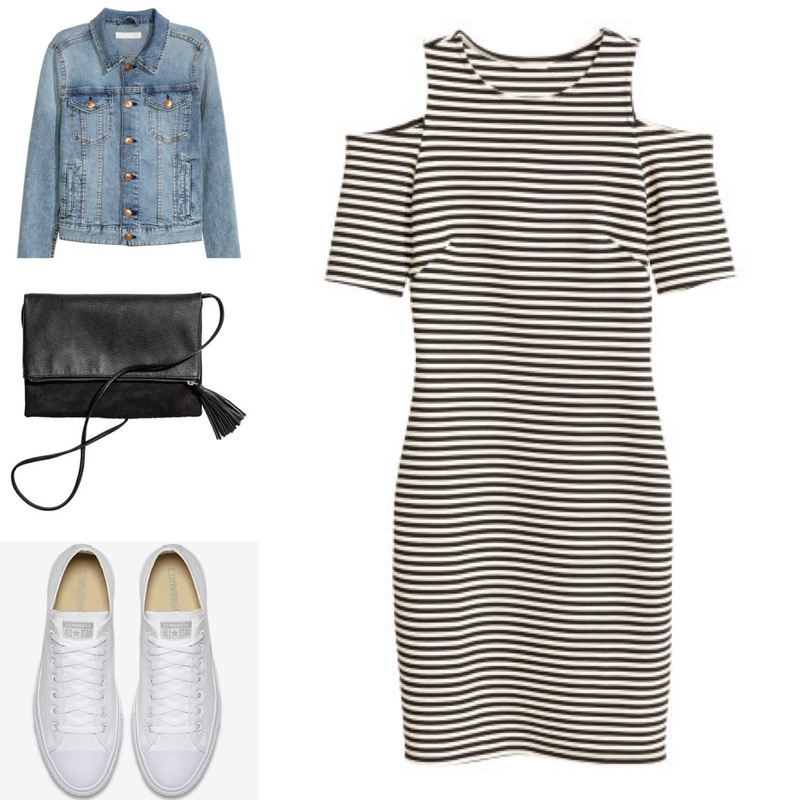 Denim jackets really go well with almost any dress and I love this one with the cold shoulder which is still very much on trend. You could wear this with the denim jacket around your waist so as to accentuate your figure! And you can never go wrong with a good pair of Chucks! Maxi skirts are another great item to pair with a denim jacket. 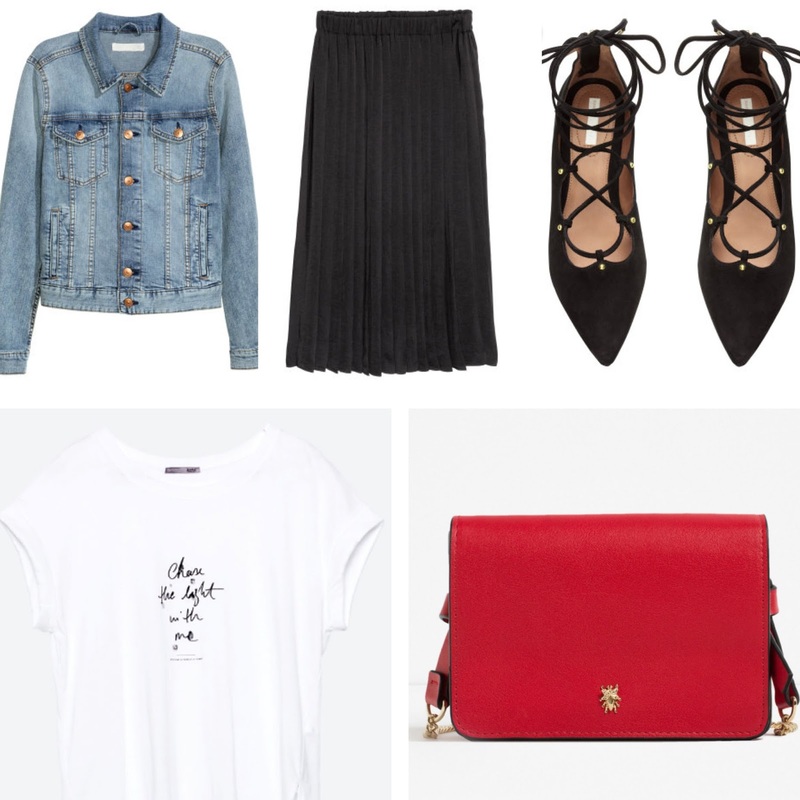 Add a graphic tee and it'll give you the perfect balance between elegant and casual. These shoes are gorgeous! I have a similar pair from ASOS which I love! Best part about these? They're on sale! Add a bright bag to the outfit like this one from Zara and you're out the door! This look is something I would definitely wear out to date night, the movies or dinner! I love how a delicate, embroidered top looks with a denim jacket. It's that balance between feminine and delicate with structured and boyish. 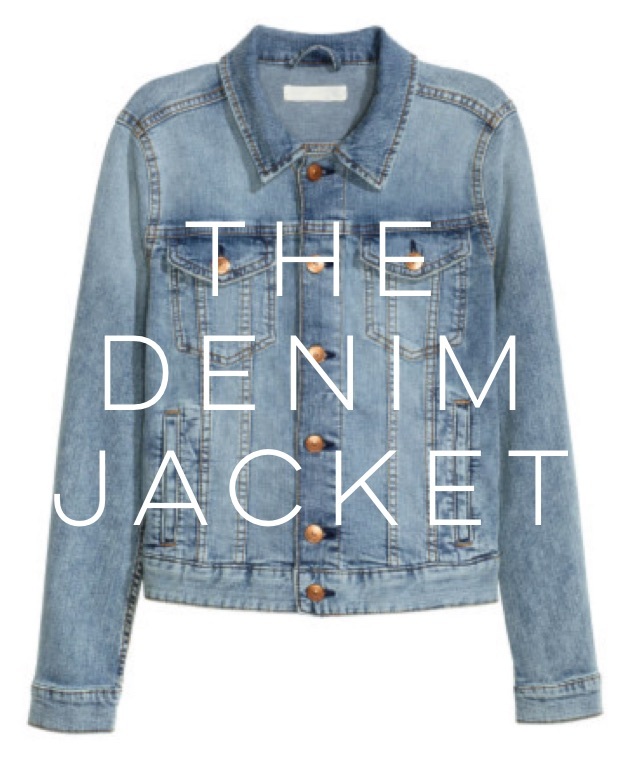 You could definitely pair a denim jacket with denim jeans! Even the same wash! But if you're uncomfortable with the whole denim on denim look, try using different washes like used here. Paired with these cute yet comfortable heels and a detailed bag, you're ready for an amazing night! Which one is your favorite? Let me know below! I seriously need a denim jacket as they're so versatile! You can dress it up or dress it down so easily. Yes! Definitely a piece I can't live without! I haven’t worn a denim jacket in sooooooo long, but I’m inspired to get one now! Thanks for sharing these ideas. You should definitely look into it! The possibilities are endless and its a great transition piece for fall! Glad you found it inspiring!